How to search the exhibits? How to easily find all the thematic exhibits? How to easily find all the postal history exhibits from a certain country? How can I return back to the list of selected exhibits? I wonder the topic ... which I can't find in your categories. Could you add it? Only by chance I found the exhibit ... that should be included also in another category. I went thru the exhibits listed in the topic ..., but among them I found few exhibits, which do not meet any criteria for thematic exhibits. Please, correct their wrong classification. How to search for exhibits? To search for exhibits, use one of the options in menu at the top of the left column of the screen under the heading Philatelic exhibits. You can select just one basic criterion (Selection of exhibits by territory, Selection of exhibits by subject, Selection of exhibits by time period, or Selection of exhibits by EXPONET class), or combine more criteria on the same time (Selection of exhibits by all four criteria simultaneously). Using of any of these functions will display context pull-down menus for each basic criterion and its three menu levels. For each basic criterion you must always start the selections from the top level menu (clicking in the row of the menu will display the complete choice of that one). If you click on a blank line at the top of the menu, the search for this menu level will be cancelled. To start the selection process, please click on the Select button; as a result you will see the list of exhibits matching your criteria. It is also possible to search for exhibits by exhibitor’s country of origin (Selection of exhibits by the country of exhibitor) or directly by his/her name (Selection of exhibits by the name of exhibitor). If you want to repeatedly visit an exhibit remembering its Registration number, use the Selection of exhibits by the exhibit registration number selection option. Our regular visitors will certainly appreciate the List of most recent exhibits selection option. A trial function List of most visited exhibits was introduced. In the future we expect that its functionality would be modified to fit better its purpose. Separately, you can find all of the exhibits currently available for sale (List of exhibits for sale). All these exhibits are marked in all selections with the symbol . In the left column of the screen under the heading Philatelic exhibits use Selection of exhibits by EXPONET class and at the top level of drop-down menu (EXPONET exhibition class level 1) enter Thematic philately. According to extended concept of the exhibition classes in EXPONET however, we include here some exhibits of Open Class with a thematic content. In the left column of the screen under the heading Philatelic exhibits use Selection of exhibits by all four criteria simultaneously. By the criterion for territorial classification enter step by step the continent (Territorial level 1) and the country (Territorial level 2), or even its part (Territorial level 3) and at the same time, according to criterion for exhibition classes (EXPONET exhibition class level 1) enter Postal history. Return to the list of selected exhibits is carried out by clicking on the button Back or using the arrow "back" in your web browser. Thank you for your suggestion. We will think over adding of your proposed category. Note however, that exhibits more or less related with your topic can be found in already existing categories with a similar meaning. Please review carefully all the categories. When prepared the classification structure, we tried to cover the maximum of thematic areas most often represented in the exhibits. To be best accessible for more visitors, we included the exhibits into multiple categories, even if they fit in only partially. Those exhibits that do not comply with any of the above categories, we placed so far to category "Other …" (such a category we have introduced at all levels in the whole structure, where it makes sense). If you see any exhibit that you believe should be included in some of the other existing categories, please let us know. Thank you for informing us. We will check it and include the exhibit to your proposed category. The classification of exhibits is undoubtedly very subjective matter and we could easily make a mistake because of the great amount of processed exhibits. Thank you for informing us. We will check the classification of those exhibits in this category. Note however, that every exhibit we try to classify into multiple categories, even if they match only partially. Our intention is to offer collectors samples of such material, which may be associated with a given theme, even if only marginally, and inspire them for its potential use. EXPONET is not a competitive exhibition and therefore do not need to clearly meet the criteria in accordance with FIP. We recognize, however, that the classification of exhibits is undoubtedly very subjective matter and we could easily make a mistake because of the great amount of processed exhibits. How can I view the exhibit? How can I go through the exhibit? Is it possible to enlarge the pictures and display them in a higher resolution? When you click on title of each exhibit, the basic information about the exhibit will be shown and you will see a preview of the exhibit sheets. The click on any sheet opens it for study in a display Gallery. If you are viewing a specific sheet of an exhibit in the display Gallery, the directional arrows enable you to move to the previous or next neighbour sheets. The arrows appear if you place the mouse at the left or right edge of the exhibition sheet. Small window at the top right corner of the sheet allows you to enlarge the picture. Similar small window at the right bottom corner will close the sheet image; the same result you will get by clicking anywhere outside of the displayed list. If you are viewing a specific sheet of an exhibit in the display Gallery, click on a small window at the top right corner of the sheet - you enlarge the picture (up to 1280 pixels in width). Similar small window at the right bottom corner will close the sheet image; the same result you will get by clicking anywhere outside of the displayed list. I would like to place my exhibit on EXPONET; what should I do? What are the fees for exhibiting on EXPONET? I would like to place my exhibit on EXPONET; does it have to meet the criteria for competitive exhibitions? I would like to place my exhibit on EXPONET, but I do not wish to disclose my name; is it possible? May I place more exhibits on EXPONET? What is the required number of sheets for an exhibit? We like to place your exhibit on EXPONET. Please, read the Technical specifications for exhibits. Keep in mind, however, that your exhibit should be interesting for other visitors. 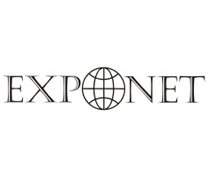 Exhibiting on EXPONET is free! The advantage of EXPONET is that it need not. Keep in mind, however, that your exhibit should be interesting for other visitors. For example, we like to publish exhibits that describe some interesting segments of philately in detail, although their way of presentation or their scopes were not acceptable for competitive exhibitions. Yes, it is possible to exhibit also anonymously. Yes, you can; the number of exhibits presented by the same author is not limited. The number of sheets for one exhibit is not limited. Keep in mind, however, that your exhibit should be interesting for other visitors. I own an exhibit, which I would like to offer for sale; how should I proceed? What are the fees for selling exhibits? How do I know that the exhibit is intended for sale? I noticed that some exhibits are intended for sale; what should I do if I want to buy any? Rules for buying and selling exhibits using EXPONET are being prepared and will be published soon. If you want to offer your exhibit for sale, let us know. Rules for buying and selling exhibits using EXPONET are being prepared and will be published soon. All exhibits intended to sell are marked in all selections with the symbol . You can also find all currently available for sale using List of exhibits for sale. I like EXPONET very much and I would like to support its further operation and development; how can I do? And do you also accept non-financial donations? Is using of EXPONET free? Is it available to anybody without restrictions? The operation and development of EXPONET is challenging and we really welcome any sponsorship or other support. If you want to learn more, read Basic information about sponsoring and Way of payment. Yes, using of EXPONET is free. All user functionality is free of charge. I am interested to advertise on EXPONET; what are the options and how much does it cost? Rules for advertising on EXPONET are being prepared and will be published soon.